L Ron Hubbard lost control of the patents which applied to his breakthrough creation”Dianetics” when he accepted external funding. When the ‘Dianetic Foundations’ collapsed, he was left out in the cold, no longer able to exploit his own ideas. He was not going to make that mistake again. From this point, he was careful to maintain full personal control of the organisations he founded. He built Scientology up gradually from the grass roots (initially using mailing lists purloined from the Dianetics foundations). After several years of growth, there was only one fly in his ointment. He did not own the most distinctive, popular and profitable device in Scientology – the e-meter. His problem was that the man who did – Volney Mathison was a canny, hard working, independent and ingenious man. He had invented his own fringe therapy and written a book about it. 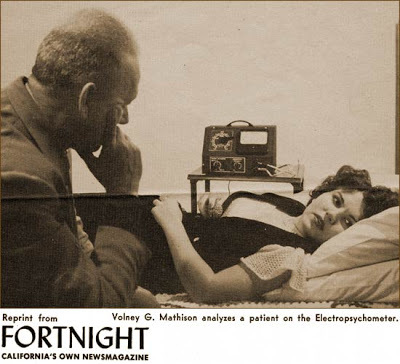 He practised this therapy, and sold e-meters to Scientologists, psychoanalysts, and other fringe practitioners. Crucially, he held patents on a range of devices. Their sale was making him a comfortable living – and he was not inclined to surrender them to Hubbard. I was surprised when I learned of the extent of Mathison’s product range, and I think it would be worthwhile to describe it here. It illustrates the magnitude of the problem that Hubbard had created for himself, not only by integrating Mathison’s e-meters into Scientology practice, but extensively praising them in writing. NB: click on any image below to open an enlarged version. The Story of the e-meter Part 5: Is It Fit for *Any* Purpose? Volney Mathison’s electropsychometer measured a real phenomenon called Galvanic Skin Response (GSR). Whenever you experience something that is psychologically arousing, your eccrine sweat glands are activated, which results in a ‘micro-sweat’. This means that when you experience a strong emotion, are performing a mentally demanding task, or are just startled your skin resistance will drop. GSR changes happen in the same way that the pupils of your eyes contract in bright light, or your heart rate increases when you are startled. Because GSR is not under conscious control real-time measurements might feasibly provide an objective measure of a person’s psychological state. Volney Mathison made reasonable claims for his e-meter. He presented it as an accurate instrument to measure GSR, which could be useful in psychological therapy. The Story of the e-meter Part 4: Could Mathison’s e-meter Ever Have worked? Mathison’s approach had some scientific plausibility. This raises a serious question. If the e-meter had been used as Mathison intended, could it have developed into a useful therapeutic tool? 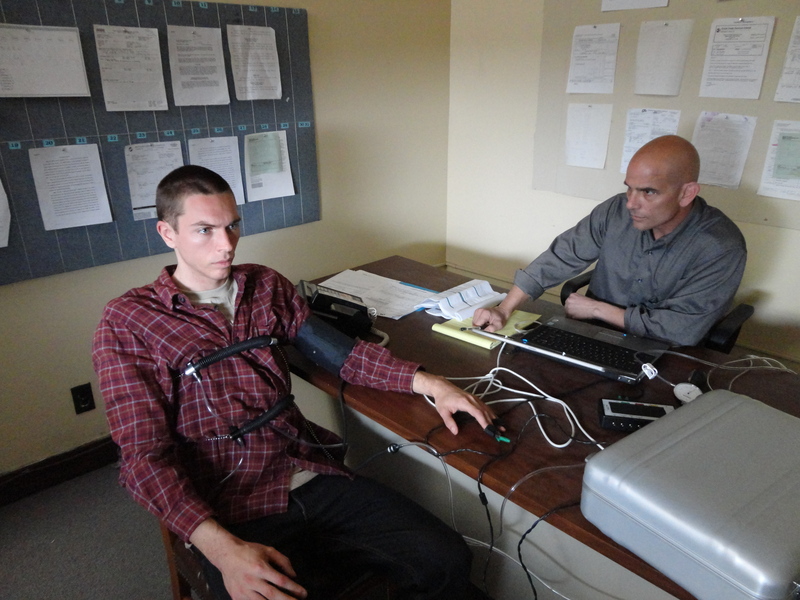 One way to assess this possibility is to take a look at the polygraph. 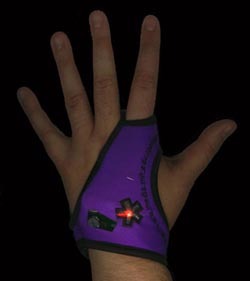 This is a far more complex device which measures not only GSR but also heart rate, blood pressure and respiration. What’s more, it has more limited aim – to detect a simple lie. For critics of Scientology, credibility is everything. Representatives of the Church do not have an arguable case – in fact, they are often placed in the invidious position of having to defend Scientology doctrines that they are not presently aware of (or, if they are, are not allowed to discuss). Their only option they have is to catch critics out in a mistake – and use this to attack their credibility. This is why it is important for critics to check their sources. I recently did, and was… surprised. I had used a quote sourced from Wikipedia in the previous post in this series about the origins and development of the e-meter. 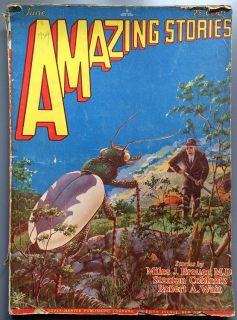 In the June 1929 issue of Amazing Stories, Mathison’s story, “The Mongolian’s Ray” appeared and was promoted on the cover. Forrest J. Ackerman and Brad Linaweaver write in the book Worlds of Tomorrow, “In this story, he created the fictional device that shortly after the introduction of Dianetics, morphed into reality as the E-meter employed today to supposedly reveal the personalities of individuals interested in becoming ‘clears’ in the Dianetic regimen. Ackerman, Forrest J.; Brad Linaweaver (2004). Worlds of Tomorrow: The Amazing Universe of Science Fiction Art. Collectors Press. p. 56. ISBN 978-1-888054-93-4. It turns out to be wrong in every respect.